Super-size, squishy ball filled with air. 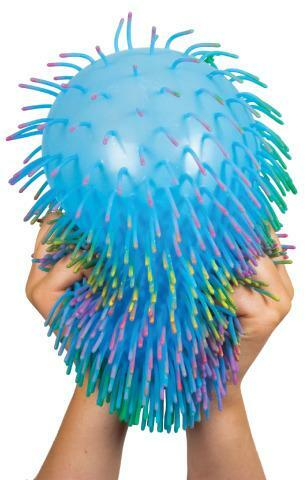 It is hard to resist squeezing or bouncing it and the short rubber hairs add to the tactile stimulation. Color varies. Cost is for one. Made of soft rubber. CHLOE'S PICK - "I like Puffer balls of all shapes and sizes. I love squeezing them. Fidgets are by far a Chloe favorite!"